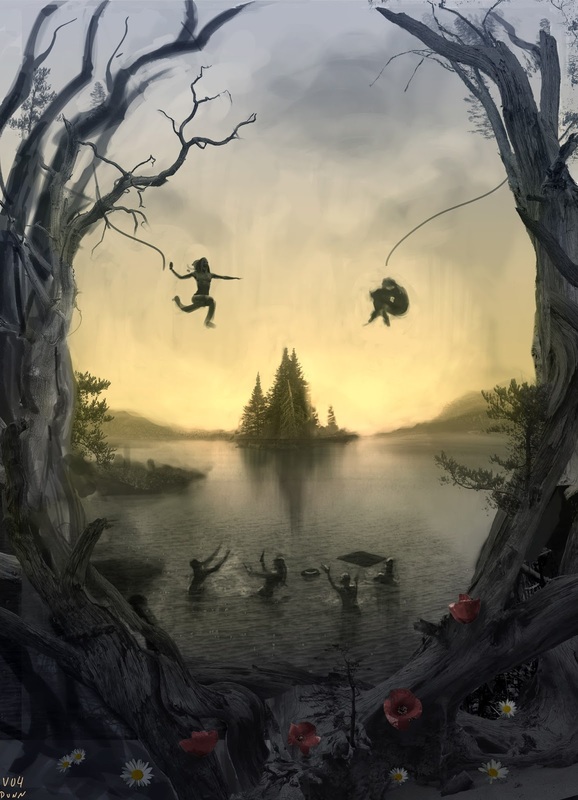 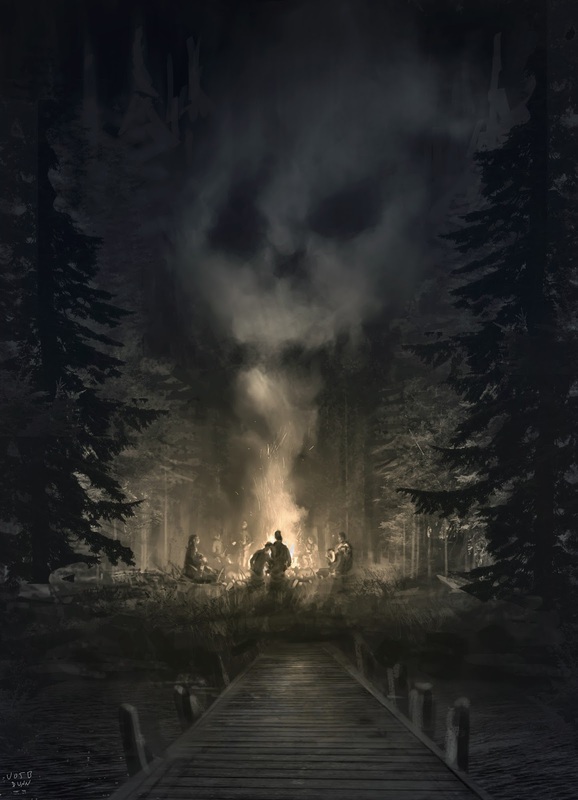 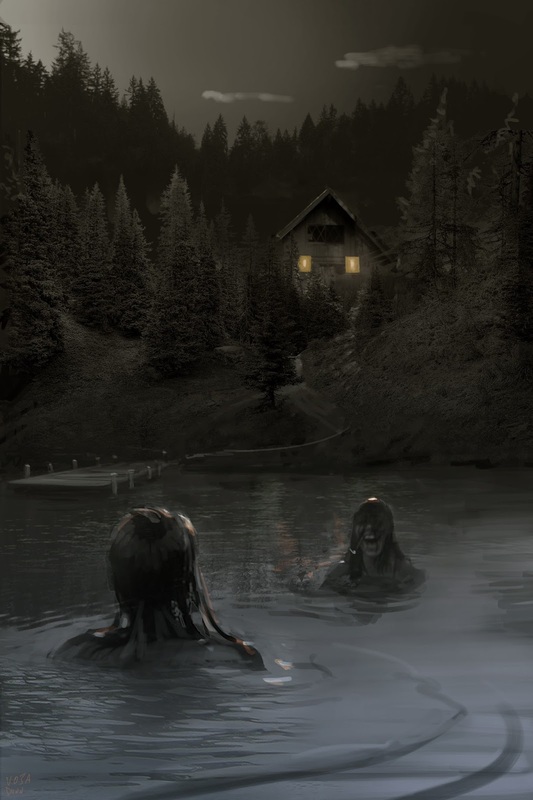 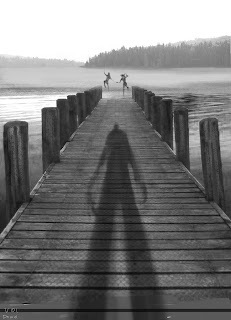 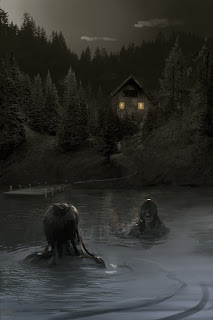 A series of poster concept sketches for the show Dead of Summer. 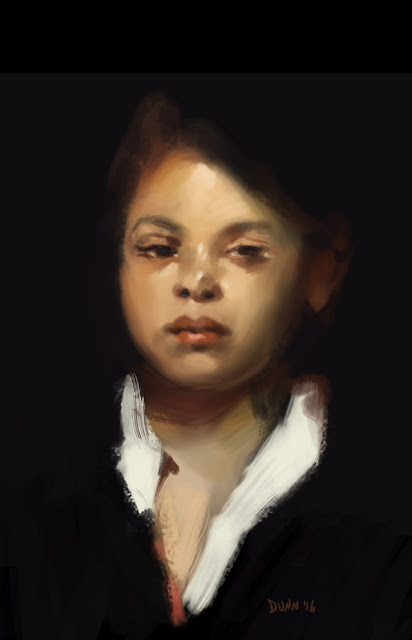 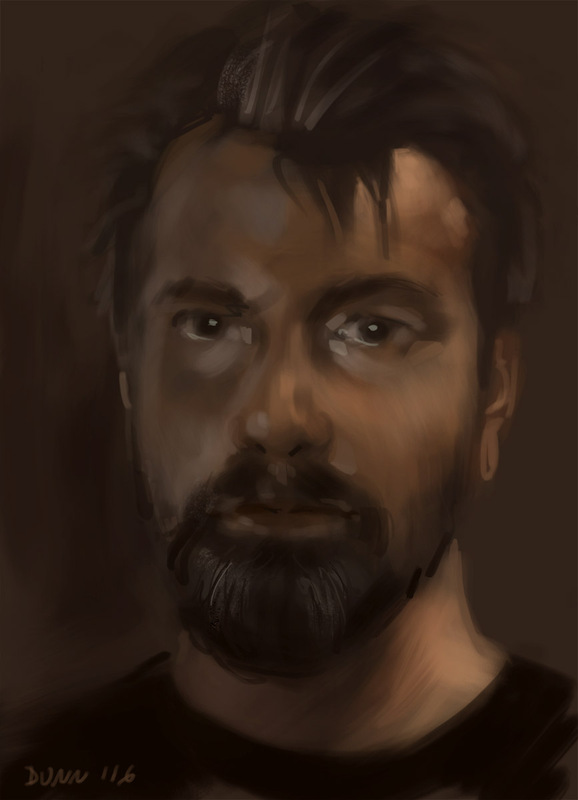 Another self-portrait demo for my painting class at Gnomon. Some pictures from our gallery show at Cinema Camera Rentals, featuring matte paintings and concept art from a variety of projects. 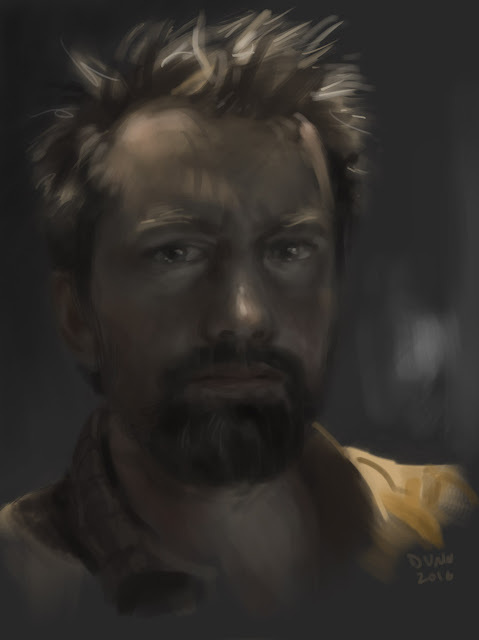 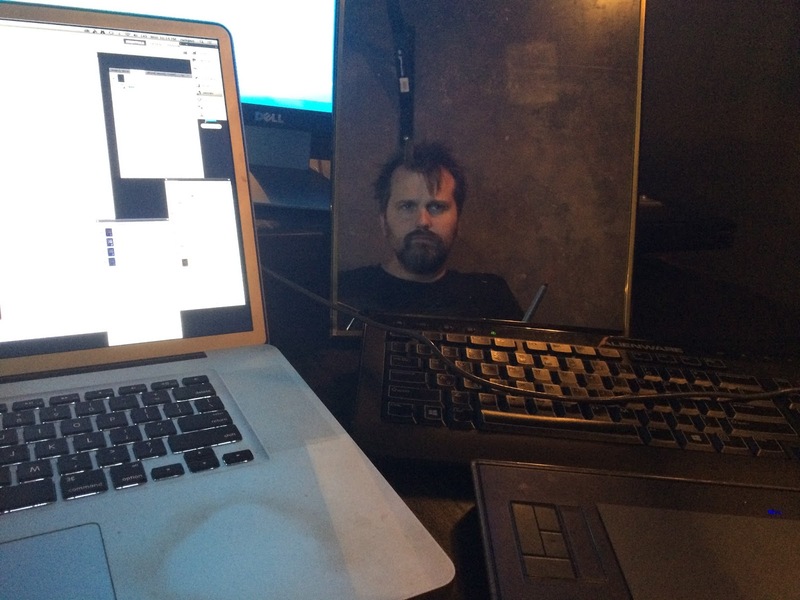 A self portrait demo I did with Photoshop and a mirror for my painting class at Gnomon School. 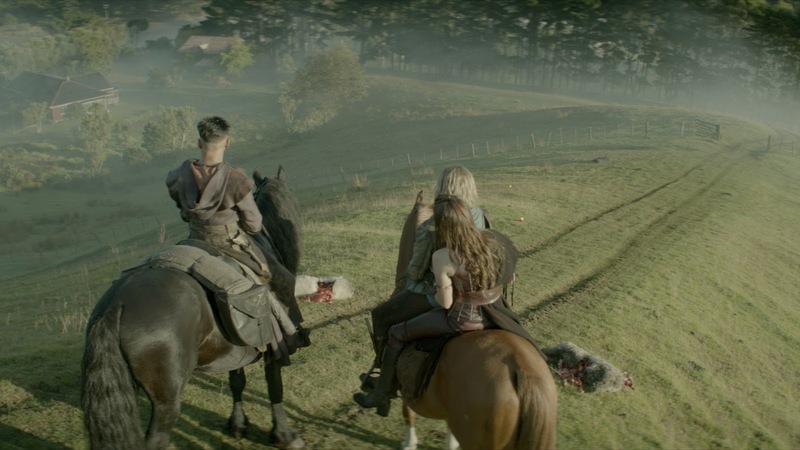 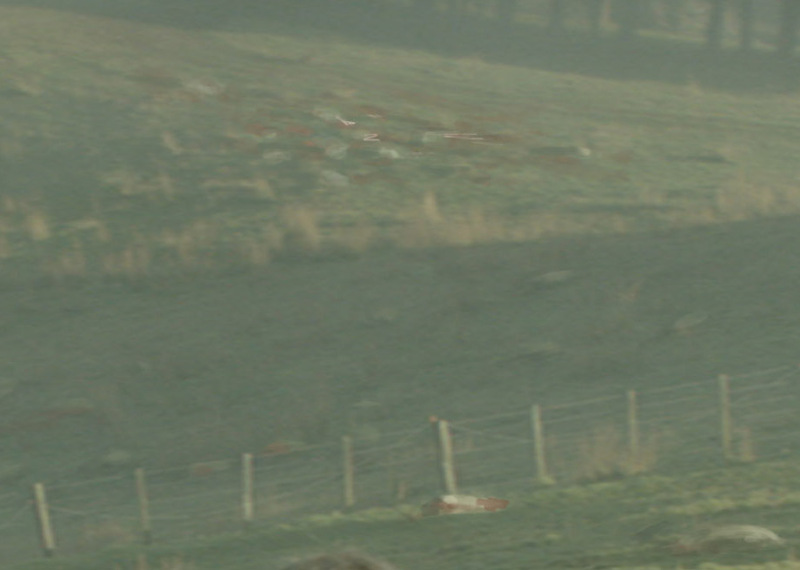 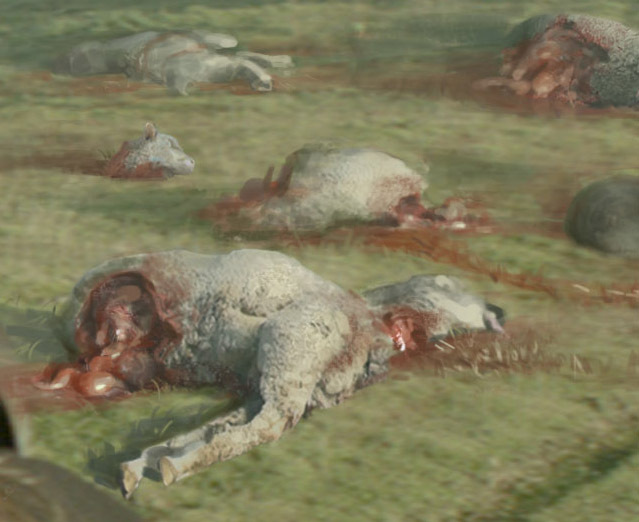 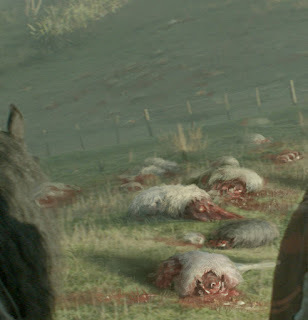 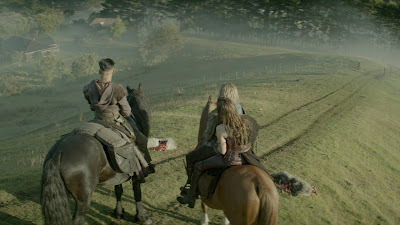 A 2.5-D matte painting from The Shannara Chronicles, with a bunch of disemboweled sheep. 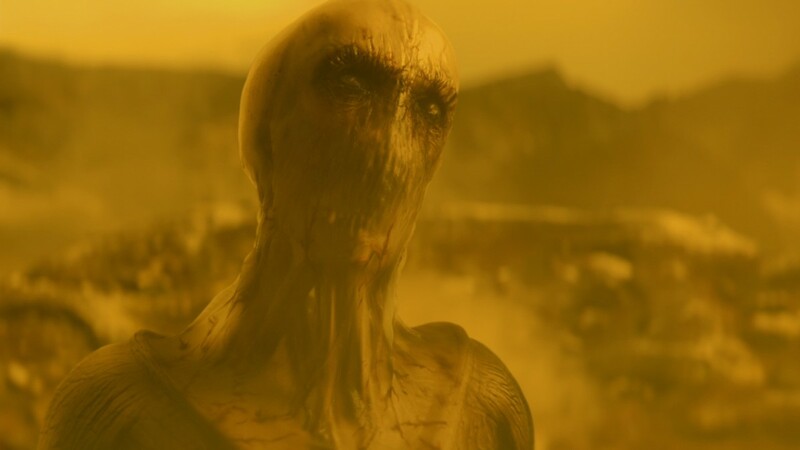 What made this shot unique was that it was mostly hand-painted, without any CG assistance. 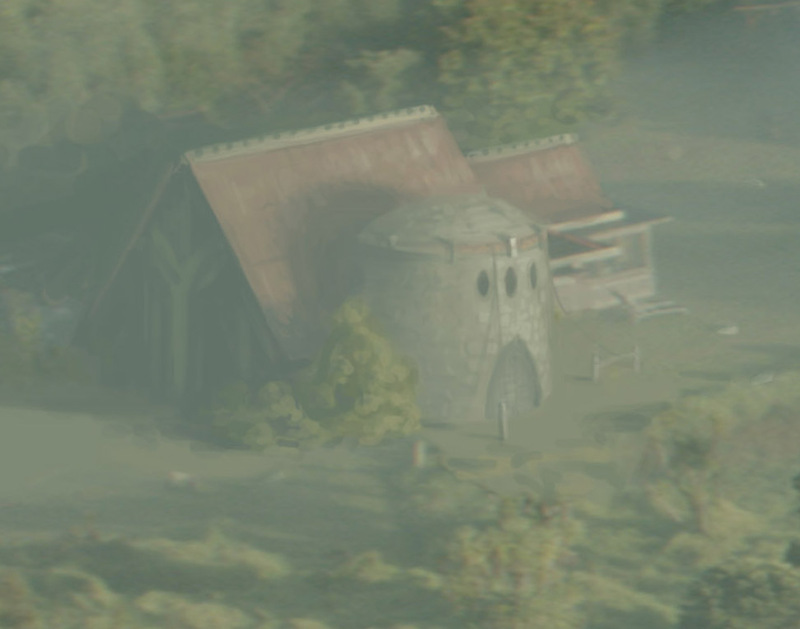 It's a bit of an old-school analog matte painting technique, rare in modern VFX, and a service we offer. 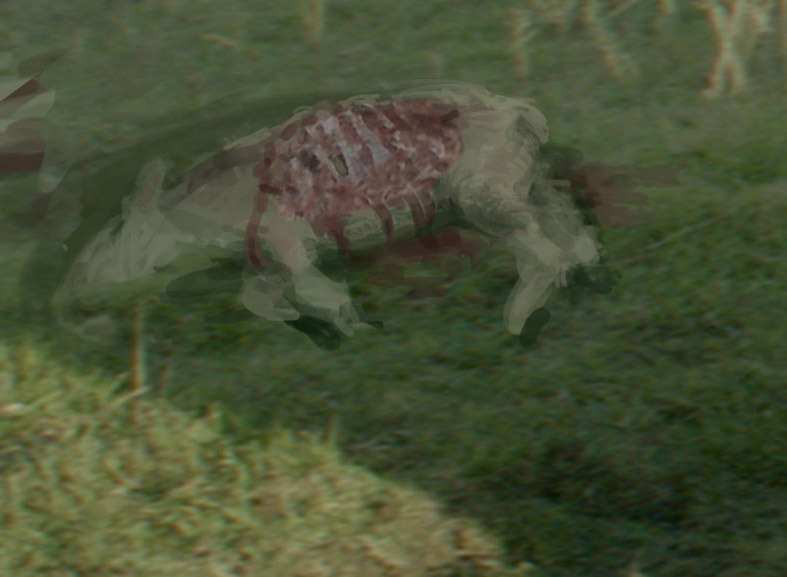 It can often "feel" more realistic than CG, while being much more economical to create. 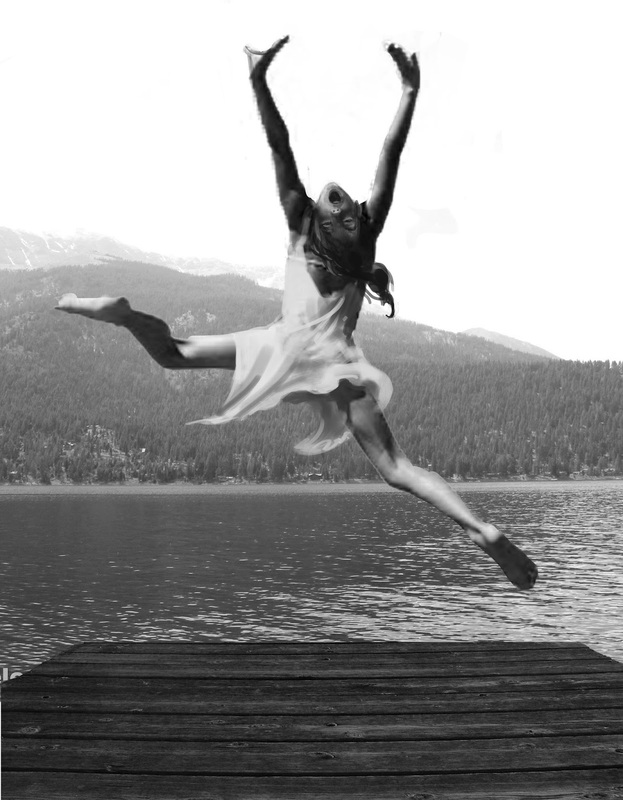 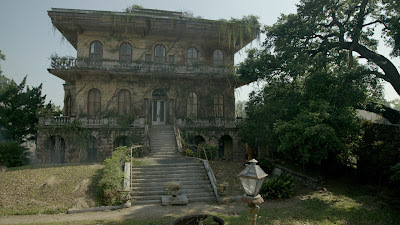 See it in motion on our reel. 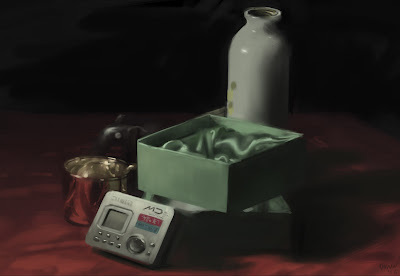 A new still life painting demo from my class at Gnomon School. 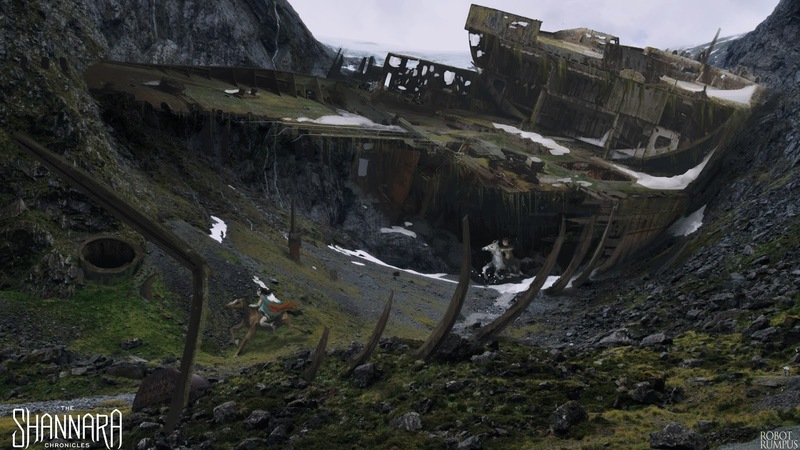 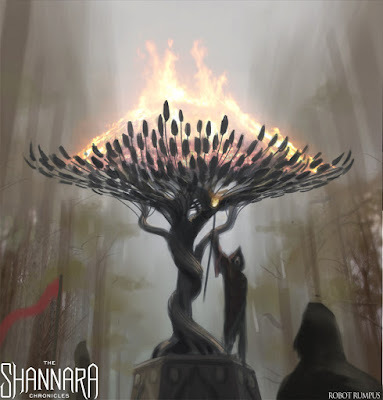 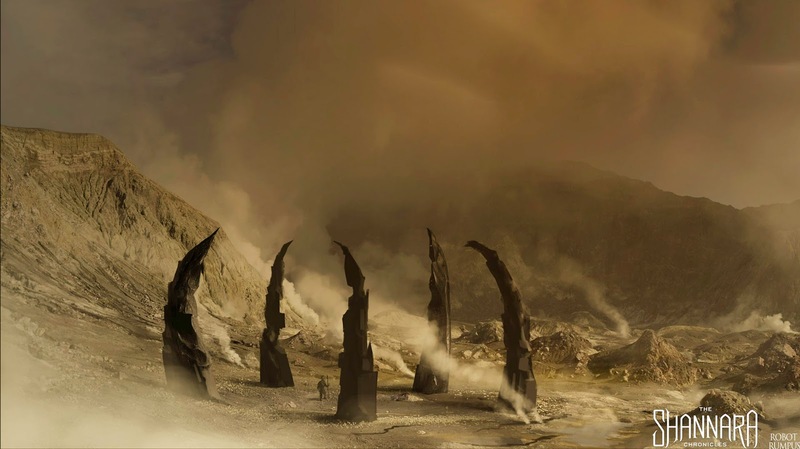 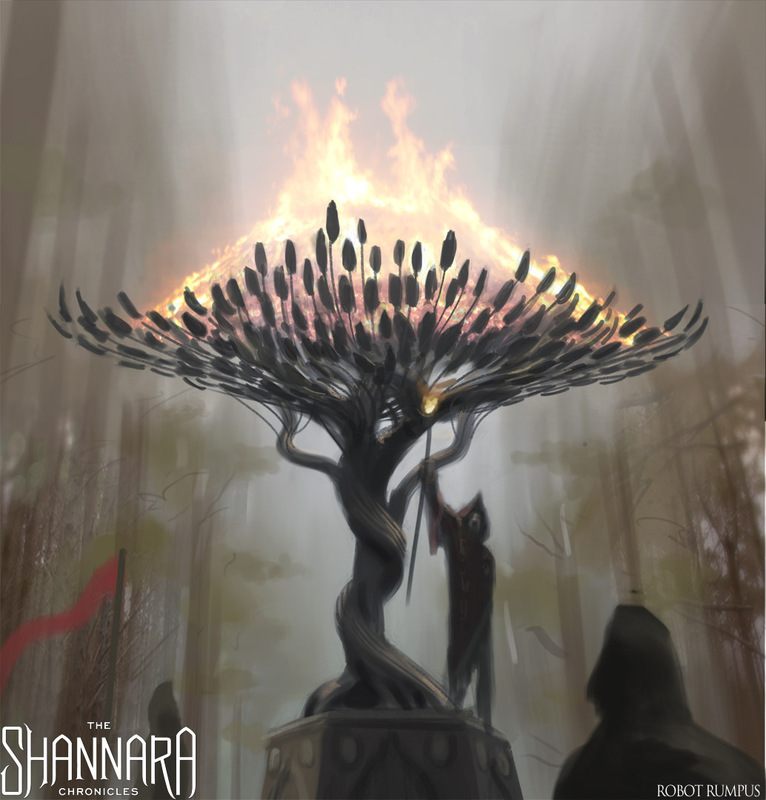 Some concept art from The Shannara Chronicles from Robot Rumpus and Shutterpunch. Some early concept for the Changeling, although the final design looked quite different. 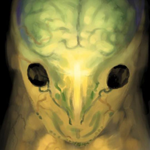 Originally, it was supposed to look more "fishy," and it ended up being more "goopy." 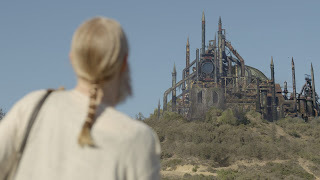 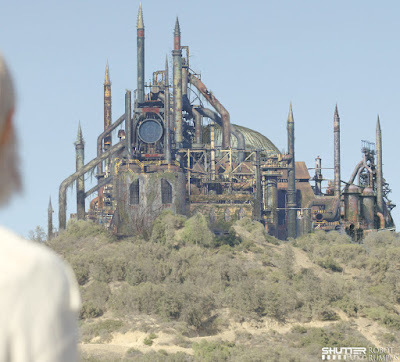 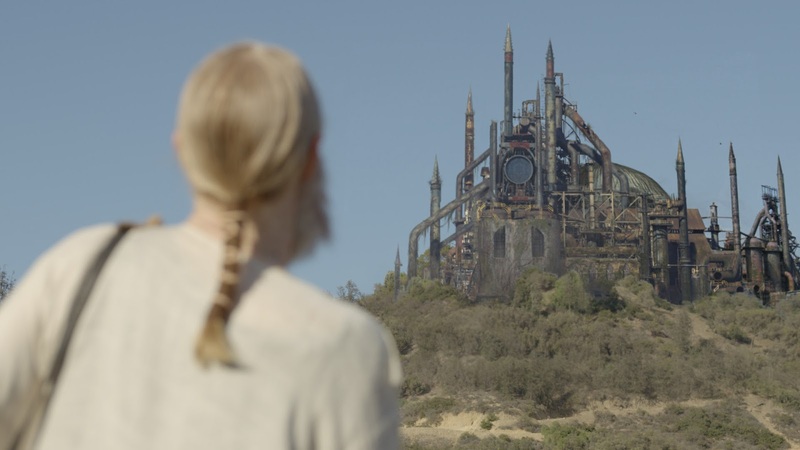 The steampunk temple we designed for Into The Badlands, episode 6... a fusion of a cathedral and an oil refinery. 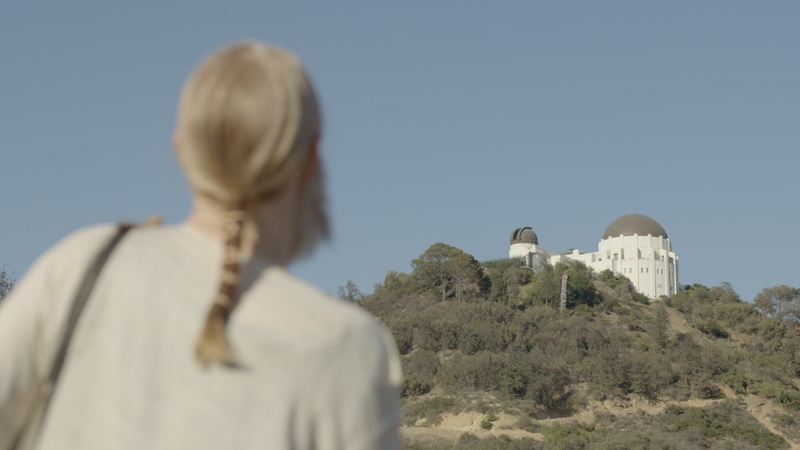 We composited the temple directly over the Griffith Observatory, using the existing building for blocking and eye-line purposes. 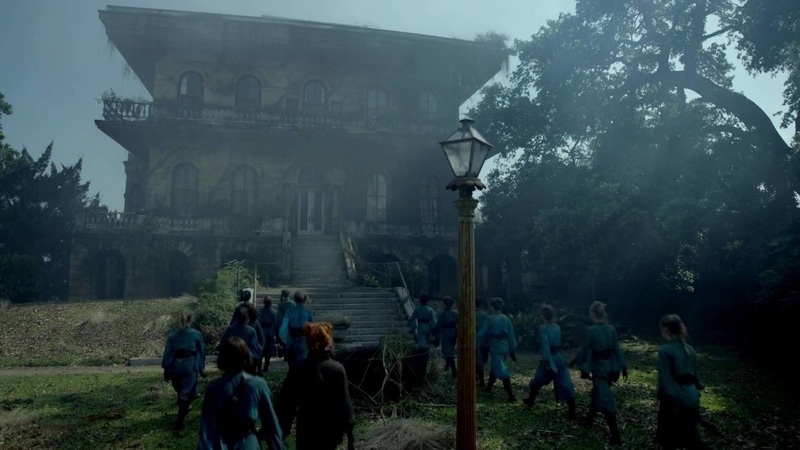 Our matte painting of the Sanctuary from Into the Badlands, adding age and overgrowth to an existing building.